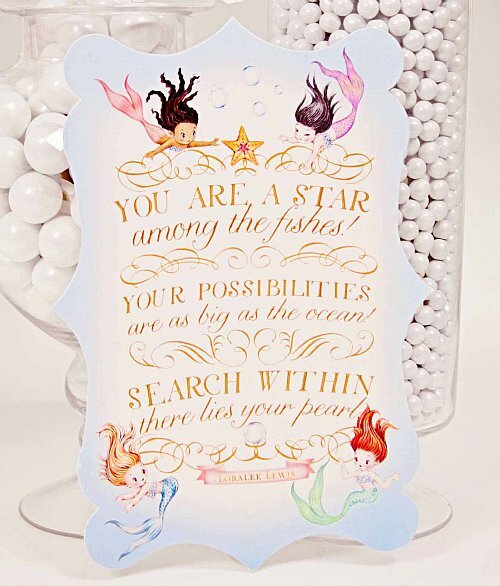 "You are a Star Among Fishes. Your Possibilities are as Big as the Ocean. 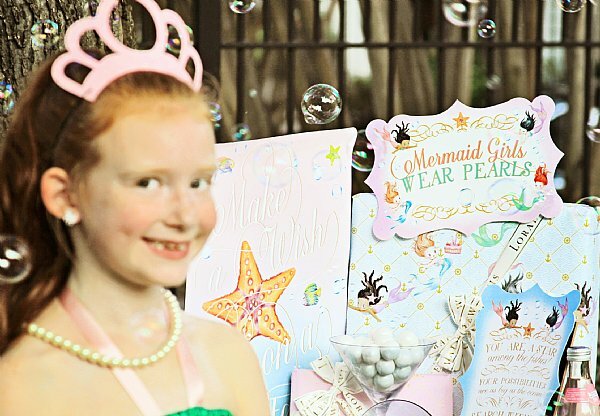 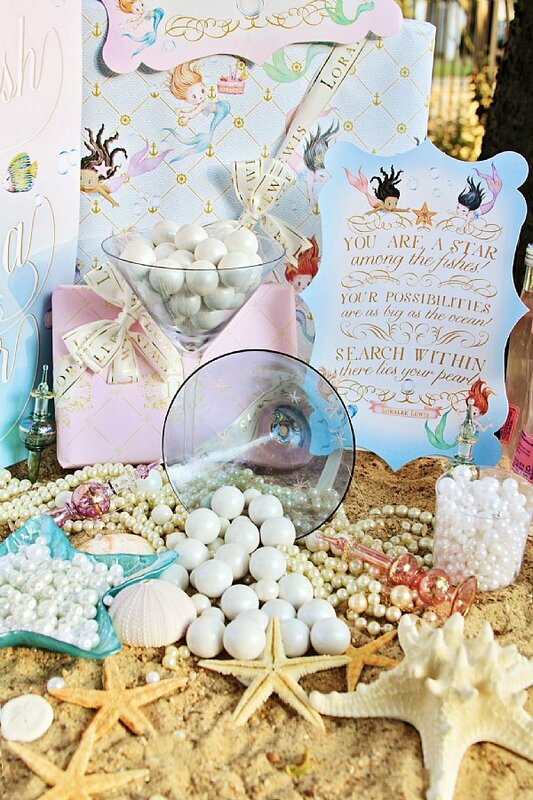 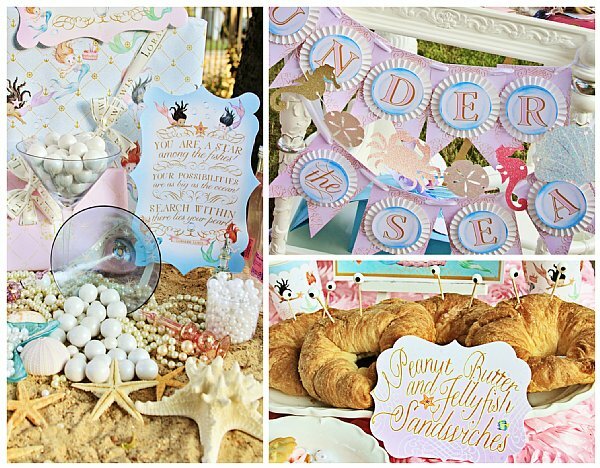 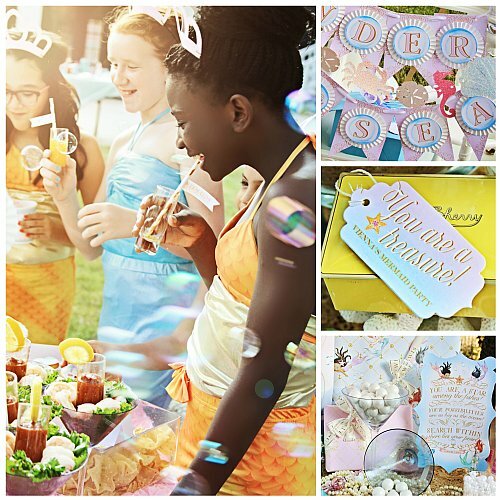 Search Within, There Lies Your Pearl"
The perfect addition for your little mermaid's party and as room décor. 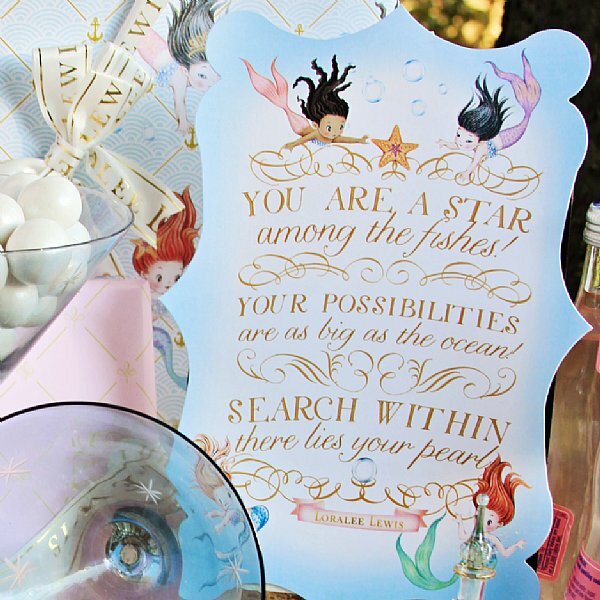 This large whimsical die-cut sign measures 10"w x 7.5"h. Professionally printed and cut on 130lb quality stock.